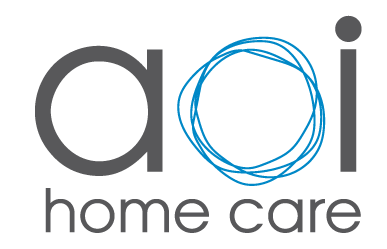 Staffed Long Term CNA, & Nursing— AOI homecare employs staff that are available to help staff, client and family support needs. Our nurses provide a variety of skilled tasks as directed by the client’s physician. All of our staff are actively licensed by the State of Colorado and are trained, licensed, and insured to provide the most comprehensive care possible to you or your family at home. Become a CNA for your child or family member—at AOI home care we will put suitable applicants through CNA certification, once you are a Licensed CNA you are able to provide care to any client needing CNA care. As part of our wide variety of home health services, AOI home care offers in-home private duty nursing services to assist seniors, adults, and children with complex medical needs. These services are provided to an eligible client in the client’s home to maintain safety and promote independence. Personal care workers can provide assistance with unskilled tasks. These tasks include but are not limited to showering, dressing, medication reminder and many others. This service is to help the client with their unskilled personal care needs. The employees who provide these services are trained and competent in the personal care tasks they provide. This service is provided for eligible clients who need assistance in maintaining a clean home environment. Homemaker services include but not limited to light house cleaning in the client’s personal areas, meal prep, dishwashing, laundry, and/or shopping. AOI Certified Nursing Assistants (CNAs) are highly trained, certified individuals. CNAs offer the same in-home care services as our Personal Care Workers (PCWs), in addition to the following skilled services: Skin Care, Medication Assistance, Oxygen Level Checks, Ambulation / Walker Assistance, Range of Motion, Catheter Maintenance, Toilet Assistance, TED hose / braces, Bladder / Bowel Care, Wound Care per RN delegation. All CNAs are under strict RN supervision and must pass background checks prior to employment with AOI. All pay sources are accepted for this service. We provide individualized services and support to adults and children who have intellectual and developmental disabilities. We provide personal care, homemaker, mentorship, and respite to people enrolled in the Supported Living Services or Children’s Extensive Support Waivers. We also provide Individual Residential Services and Support, including family caregiver, host homes and independent living settings, to people enrolled in the DD Waiver.